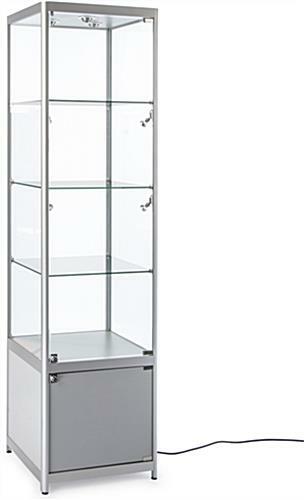 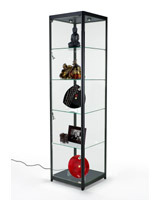 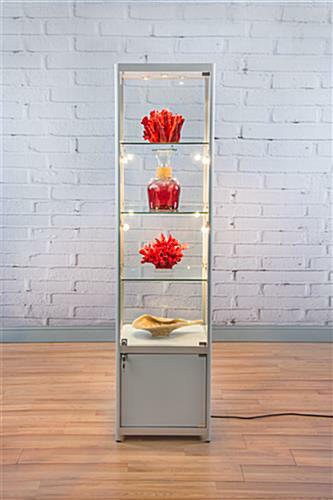 The lighted silver tower display case is an aluminum framed curio cabinet constructed of tempered glass with a melamine base. 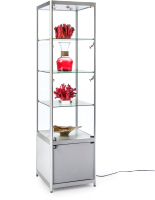 Exhibit different commodities and illuminate them with (3) top lights and (4) swiveling vertical lights that are controlled by an electrical cord and a switch. 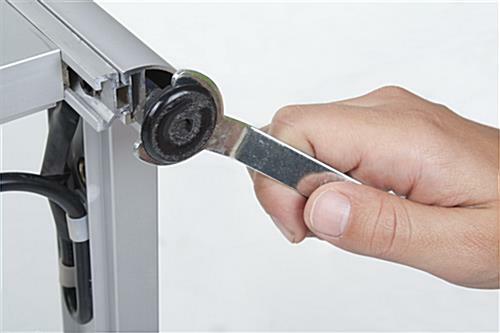 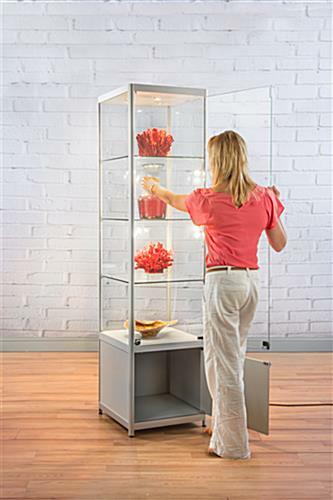 Level the secure display case by adjusting the base legs to different heights if needed. 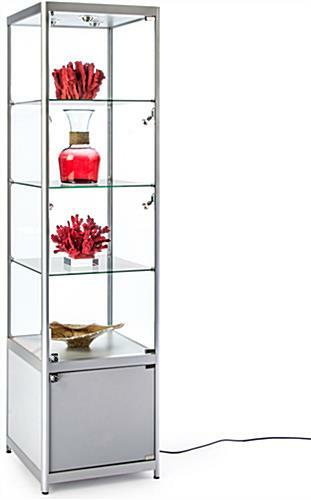 The narrow showcase stands at 78” tall and 20” wide making it a perfect curio cabinet for smaller spaces such as retail stores and boutiques. 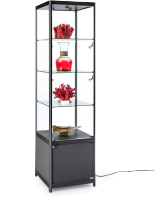 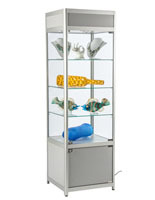 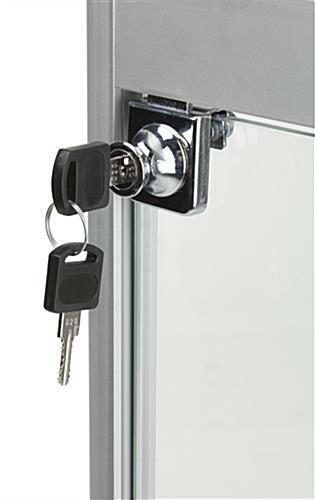 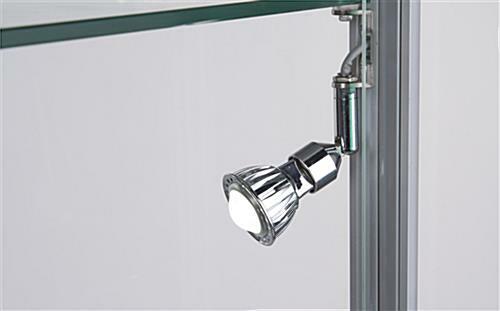 Hinged and lockable, the glass door swings outward for easy access to the valuables inside the display case. 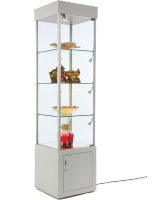 A hidden storage cabinet at the base of the freestanding unit hides what employers do not want to showcase for a private enclosed area secured with aluminum framing. 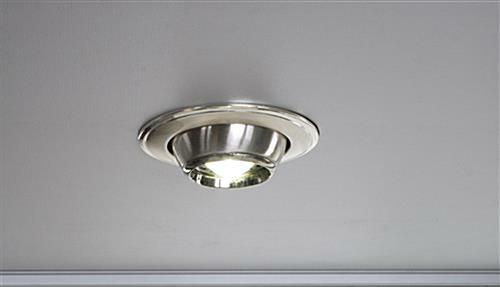 20.0" x 78.0" x 17.5"